On Friday February 8th, 2019, deputies with the Rutherford County Sheriff’s Office responded to a breaking and entering in progress at Rutherford Self Storage located at 501 Hwy 108 Rutherfordton. The caller had confronted three suspects in the act of stealing the contents out of a storage unit. Once the caller confronted the suspects they fled the area. Deputies along with detectives with the Rutherford County Sheriff’s Office quickly responded to the area of Piedmont Road and took Thomas Scott Green and Christina Terry Braun into custody. Jason Kerley was identified as a third suspect and was taken into custody on Monday February 11th, 2019. Thomas Scott Green has been charged with breaking and entering, larceny after break/enter, possession of burglary tools, larceny of firearm, possession of firearm by a felon. Green is being held in the Rutherford County Detention Center under a $75,000.00 secured bond. Christina Terry Braun has been charged with breaking and entering, larceny after break/enter, possession of burglary tools, and larceny of firearm. 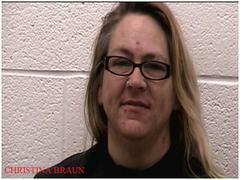 Braun is being held in the Rutherford County Detention Center under a $30,000.00 secured bond. Jason Lloyd Kerley was arrested on the night of February 11th, 2019 by the Rutherford County Sheriff’s Office Patrol Division. 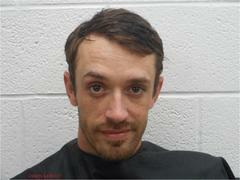 Deputies apprehended Kerley while he was committing another breaking and entering at BRS Landscaping located on Hwy. 64/74 in Rutherfordton. Jason Lloyd Kerley has been charged with 2 counts of breaking and entering, larceny after break/enter, 2 counts of possession of burglary tools, larceny of firearm, possession of firearm by a felon. 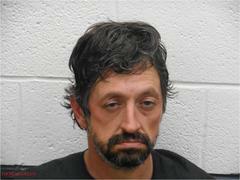 Kerley is being held in the Rutherford County Detention Center under a $100,000.00 secured bond. Thomas Scott Greene has a history of breaking into storage units and commonly uses the same method by removing the owners lock on the storage unit and replacing it with his own lock. At a glance the facility owner may not suspect anything is out of order and often times the crime may not be discovered for a long period of time. The Rutherford County Sheriff’s Office would like to remind the citizens of Rutherford County if you rent a storage unit please take the time to check on your unit. If you locate a lock that does not belong to you please call Law Enforcement. We would like to also thank the owners and managers of the storage units that take the time to keep a check on their storage facilities.